A roundtable was held to spark dialogue regarding the best way to promote sake in London, attended by the leading sake trade including importers, restaurant owners and sommeliers. 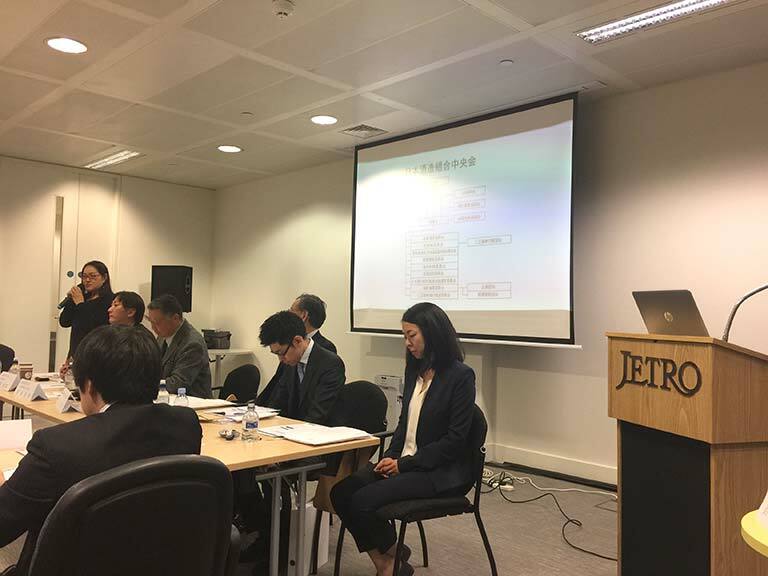 The event was initiated by the Japan Sake and Shochu Makers Association (JSS) UK office and jointly organised with JETRO London. Twenty-two sake business related individuals and companies attended the meeting in the afternoon. Mr Yoshiro Okamoto, the vice-chairman of Japan Sake and Shochu Makers Association gave a lecture on the trend of sake market in Japan and overseas. Mr Hirohisa Ichihashi briefed about the wine market and drink industry in the UK to make the comparison with sake. Mrs Yoo Shuto introduced the new organisation called JFOODO which she represents in the UK to promote sake primarily to the consumer market. Rie Yoshitake acted as the MC for the Q&A session for the second part of the meeting to bring out various questions and requests from the attendees. 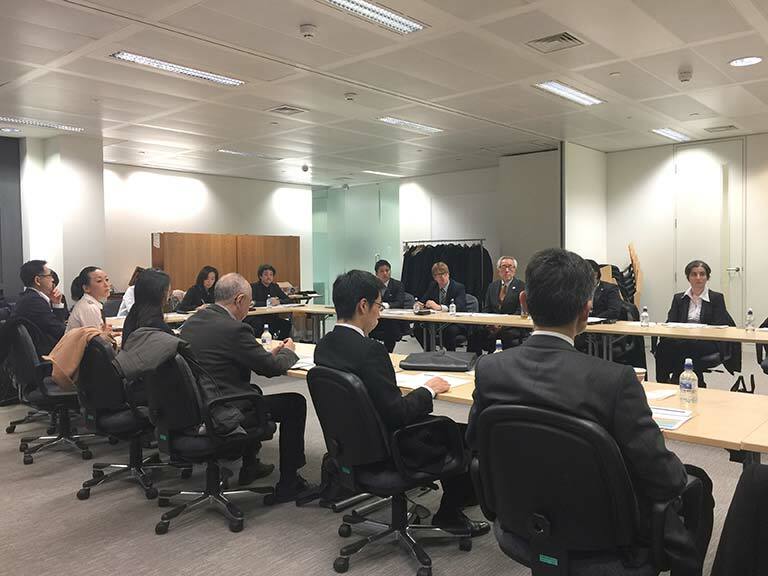 The roundtable was found very useful to build the platform of UK sake industry with the support of the Japanese sake industry, as well as to help Japan to understand the reality and requests from the overseas market. We are encouraged to continue this for the future.